Nicholas Whyte is senior director of global solutions at APCO Worldwide’s Brussels office, and a visiting professor to the Faculty of Social Sciences at Ulster University. There are almost two years to go until the next European Parliament elections in June 2019. 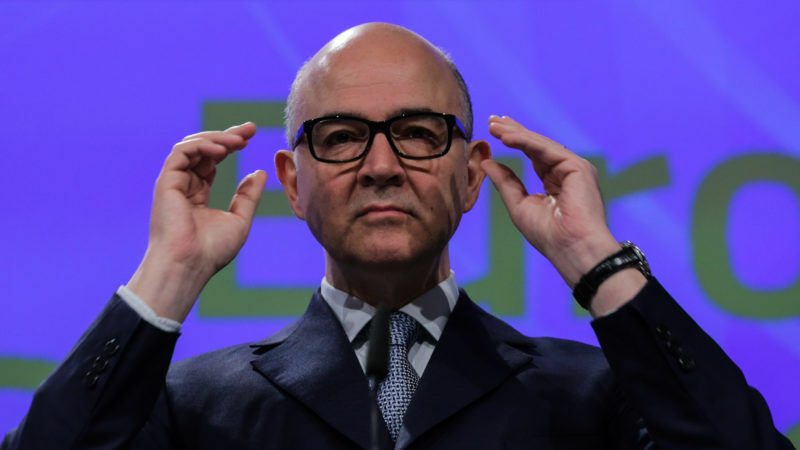 Already Pierre Moscovici, the European Commissioner for Economic and Financial Affairs, Taxation and Customs, has hinted that he might be interested in the job of president of the European Commission. But, if that appointment is made in 2019 in the same way as it was in 2014, what are his chances, or the chances of any candidate of the political left? In 2014, the president of the Commission was the candidate of the most successful party in the European Parliament elections – the European People’s Party, which won 214 seats to 185 for the Party of European Socialists. On the face of it, that’s not an unbridgeable gap. The centre-left party actually got more votes than the centre-right in 2014 but the structure of the electoral system meant that EPP votes in small countries, and countries with lower turnout, were worth more than PES votes in larger countries with more enthusiastic voters. However, the withdrawal of the United Kingdom removes a significant reservoir of PES support. The British Labour Party won four million votes and 20 MEPs in 2014, all of whom will be gone in 2019; while the EPP will lose nothing electorally from Brexit. The PES therefore needs to work with not a 29-seat deficit but a 49-seat deficit. It is a tall order. In Italy, where new Prime Minister Matteo Renzi crushed Silvio Berlusconi’s party in 2014, a more balanced outcome is likely in 2019. In France, the PS and PRG combined won only 13 seats to the UMP’s 20 in 2014; in the Macron era, they seem unlikely to do better. It is difficult to predict what will happen in Germany, a year and a half into the next government’s term but despite a relatively strong performance in 2014, the SPD were still seven seats behind the CDU/CSU, and it would be a courageous wager to predict that they will close that gap in 2019. There is a bigger structural issue. In Poland and Hungary, the parties of the old left are out of the picture, and the key political battleground is between the centre right and the hard right. The absence of a strong PES partner in those key Eastern member states is a serious weakness. Even where the centre-left is relatively strong, there are problems – the SPÖ in Austria and ČSSD in the Czech Republic currently lead their respective governments, but have both slipped to third place in opinion polls for their countries’ October elections. It’s not impossible. My calculation is that a net uniform swing of 4% of voters from EPP member parties to their local PES equivalents in each member state would be enough to put the centre-left ahead. Such a swing would not be unusual in a national election, nor indeed unprecedented at European level – in 1999, the PES lost 6.1% and the EPP gained 9.5% compared with previous elections, giving the EPP the status of largest party which they have held ever since. So Pierre Moscovici, or whoever the centre-left candidate turns out to be, has a tough hill to climb in the next twenty-three months, especially if the Spitzenkandidat process is undertaken again as it was in 2014. Moscovici as Spitzenkandidat will have the additional challenge of negotiating the support, or at least assent, of President Macron. Of course, if we have learned anything from the events of 2016, it is surely that anything can happen. – while I support the Spitzenkandidaten process (and EURACTIV was associated to most related debates last time), the notion of balance between the 4 top jobs may still play a role. How about uping our game? ef Carl Bild for foreign affairs, and… Angela Merkel for Council President? Then Moscovici or another ‘moderate social democrat’ for Commission President might be thinkable. Just. PES currently in a weak position but yes manoeuvres have begun . Even so the state of the PS is so lamentable that it is hard to see Moscovici candidature picking up traction. He would have to take on the heritage of the Juncker years and face a challenge from the “populist left” in France itself. If Barnier lands EPP nomination having a French PES candidate would be difficult to imagine and again it would be a contest of insiders. Of course, if UK changes its mind, if Corbyn swings to pro-EU position a new situation arises…. I think Brussels should think long and hard before it attempts to repeat spitzenkandidaten. In 2014 before the debates they claimed it was an example of what such a process might look like. Only after being appointed did Junker declare himself the first elected president with his own democratic mandate. It is not in the treaties, how will they justify it in 2019? Juncker’s commission has divided the EU as never before and with his help has seen the first member state leave. I will be surprised if he lasts more than a few months past the German elections. Its doubtful the eu council will want to repeat the experience. The council meeting at the time agreed to look again at the whole process. This was probably just to humour the uk but I suspect many nations will now be eager to do just that. I know many here consider Spitzenkandidaten a step forward for the eu but the uk is not alone in believing it a perversion of the democratic process and the eu will be lucky to survive another repeat of that mistake.